b. to develop self-government, to take due account of the political aspirations of the peoples, and to assist them in the progressive development of their free political institutions, according to the particular circumstances of each territory and its peoples and their varying stages of advancement"
The United Nations General Assembly has continuously reaffirmed by its annual resolutions that "in the process of decolonization, there is no alternative to the principle of self-determination, which is also a fundamental human right, as recognized under the relevant human rights conventions." Through this I draw your attention to note my previous letter dated October 18, 2016 addressed to your Chamber and the Minister on the bills 33131, 34341 Public Entities Bonaire, St. Eustatius and Saba. Here we warn you that you are planning to; violating the self-determination rights, violating human rights, violating principles of rule of law and democracy of the peoples of Bonaire and St. Eustatius, who have rejected the current state structure in various referendums in 2014 and 2015. U wordt geacht de internationale erkenning van het zelfbeschikkingsrecht van het Boneriaans volk te erkennen en dat dit recht niet toebehoor aan Nederlandse politici en bestuurders en niettemin aan Boneriaanse politici en bestuurders, maar expliciet aan de bevolking van Bonaire (en Sint Eustatius) toebehoor. You are expected to recognize the international recognition of the self-determination of the Bonerian peoples, that this right is not accessory to Dutch politicians and administrators and nevertheless to Bonairean politicians and administrators, but belong specifically to the people of Bonaire (and St. Eustatius). Nevertheless, it is your previous alibi that our people themselves have chosen in 2004 this illegal status and trajectory. However, the content of integration into your constitution since 18 December 2015 is outdated, so our people did not themselves have chosen this as they clearly and convincingly rejected the illegal status in a referendum with 50-40 No-vote, representing 65% of 62% of valid votes. - Misleading referendum information campaign of 2004, with voters of minors (16years) and immigrants with work permits mainly guest-workers without Dutch nationality and without historical bond and against the advice of the United Nations Mission. - Single-handed destruction of the legitimate referendum-law of the people's representatives of Bonaire, the Island Council in 2010 by your undemocratic appointed Lt. 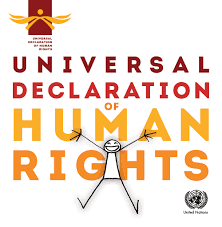 Governor Thode and Governor Goedgedrag against the advice of the United Nations and on unfounded reason because for self determination-referendum voters-eligibility may be deviated from the local island council election, and that there is international jurisprudence consists of 20 years of residency to guarantee histocrical ties. - The rejection of the Bonerians people in December 2010 referendum on the question: "I agree that Bonaire has become a public entity within the meaning of Article 134 of the Dutch Constitution" and conspiration and withholding or non-report of United Nations supervision mission. - December 18, 2015 referendum rejection by 50-40, 65% of the votes entitled to 62%, no-votes on the question: Do you agree with the interpretation given to the direct link with the Netherlands? 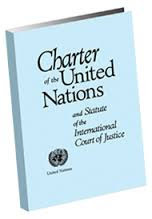 Therefore, there is no legal and democratic constitutional basis to annexing the people of Bonaire and St. Eustatius and integrating them in your Dutch Constitution, and violating their self-determination right (U.N. Res.2625, 1514, 1541) and human rights, and I will not respect nor recognize your decision and hereby I, Serrio James Finies born July 13, 1964 on Bonaire, and the other 5039 no-voters and democratic decision and rejection of the population of St. Eustatius, formally objects to this decision of disrespecting and violating my and the peoples of Bonaire and St. Eustatius fundamental rights. Pa medio di esaki mi ta pidi bo atenshon pa tuma nota di mi karta anterior fecha 18 oktober 2016 dirigi na bo senado I e minister konserniendo e proposishonan di ley 33131, 34341 Entidatnan Publiko Boneiru, Sint Eustatius I Saba. Den esaki nos ta atverti ku bo senado ta di plan pa: violashon di derechonan di outodeterminashon, violashon di derechonan humano, violashon di prinsipio di estado di derecho I demokrasia di e pueblonan di Boneiru I Sint Eustatius ku den diferente referendum na 2014 I 2015 a rechasa e aktual struktura estatal. Ta wordu spera di bo pa rekonose e rekonesemientu internashonal di derecho di outodeterminashon di e pueblo Boneriano I ku e derecho aki no ta pertenese na politikonan I gobernantenan Hulandes I ni tampoko na politikonan I gobernantenan Boneriano, pero ta pertenese explícito na e pueblo Boneriano (I Sint Eustatius). Tampoko bo alibi anterior ku ta e pueblo mes a skohe pa esaki na 2004, e status I trajekto illegal aki, e kontenido e integrashon den bo struktura estatal, no ta e kaso mas desde 18 desember 2015, ku e pueblo mes no a skohe pa e stuktura aki, I kla I konbisiente a rechasa ku 5040 voto-NO, representando 65% di 62% di votonan balido. - 18 desember 2015 referendum, rechaso dor di 5040, 65% di e 62% esnan ku derecho di voto, votonan- No riba e pregunta: Bo ta di akuerdo ku e kontenido ku a wordu duna na e laso direkto ku Hulanda? Pa es motibunan aki no tin base legal ni demokratiko pa aneksa I integra e pueblonan di Boneiru I Sint Eustatius den bo konstitushon I viola nan derechonan di outodeterminashon(art. 2625, 1514,1541) I derechonan humano I ami lo no respeta ni rekonose e desishon aki I ami , Serrio James Finies, nase 13 juli 1964 na Boneiru I pa e otro 5039 votadornan- No, I e rechaso di e pueblo di Sint Eustatius, ta disputa I duna obheshon ofisialmente kontra di no respeta I violashon di derechonan fundamental di ami I e pueblonan di Boneiru I Sint Eustatius.